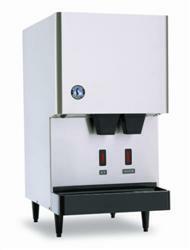 This Hoshizaki DCM-270BAH Counter Top Ice Maker/Water Dispenser Holds 8.8 Lbs. Of Ice. And Makes A Great Addition For Small Offices.